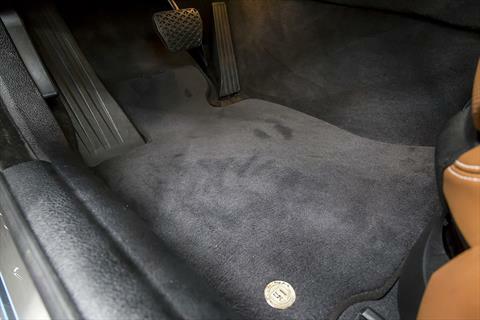 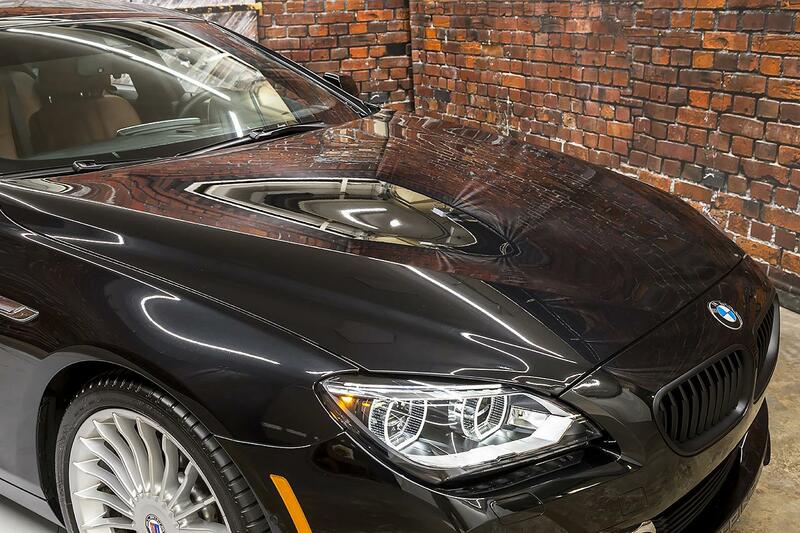 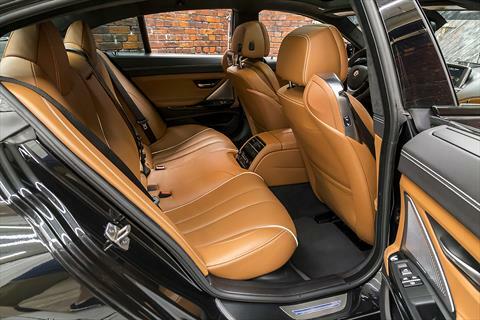 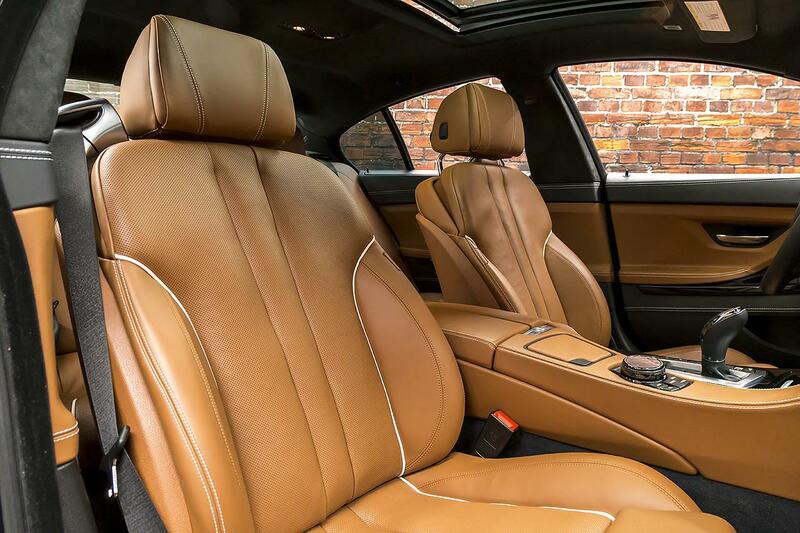 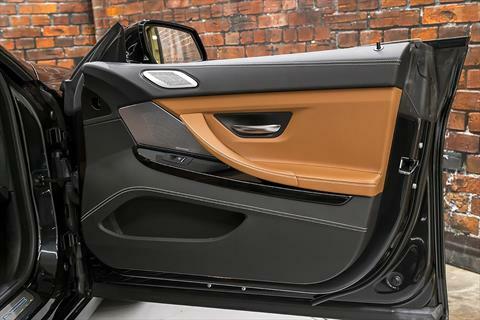 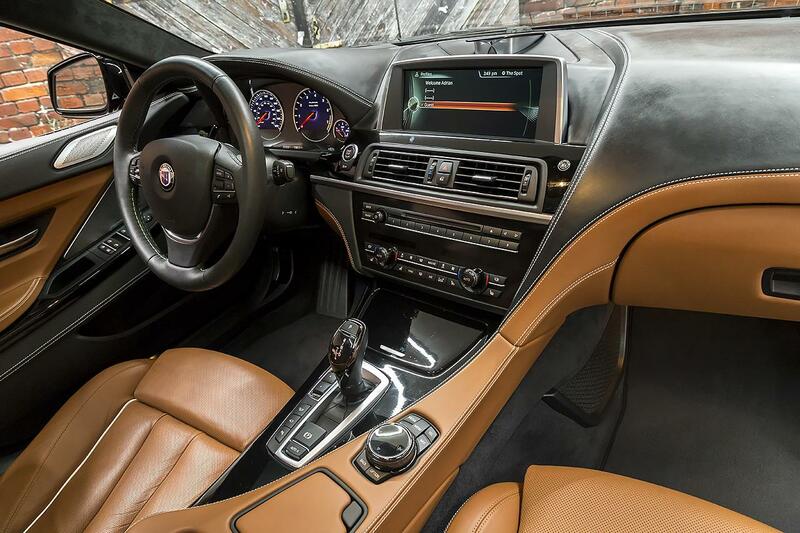 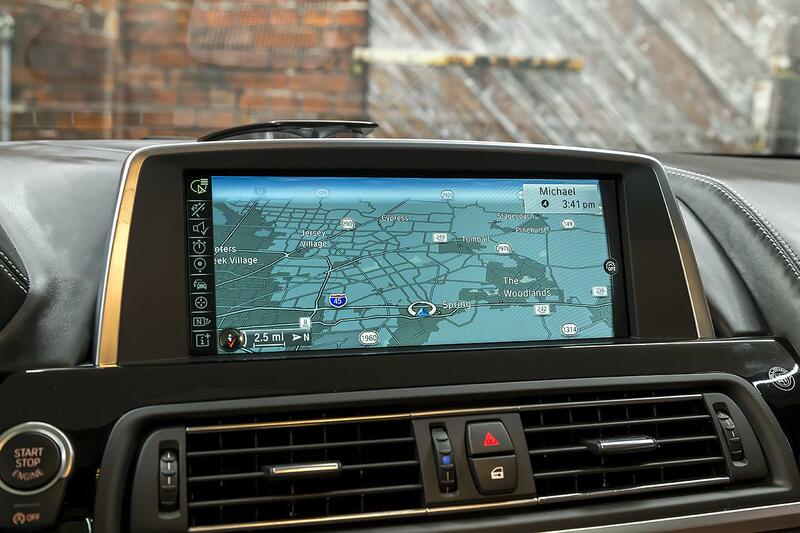 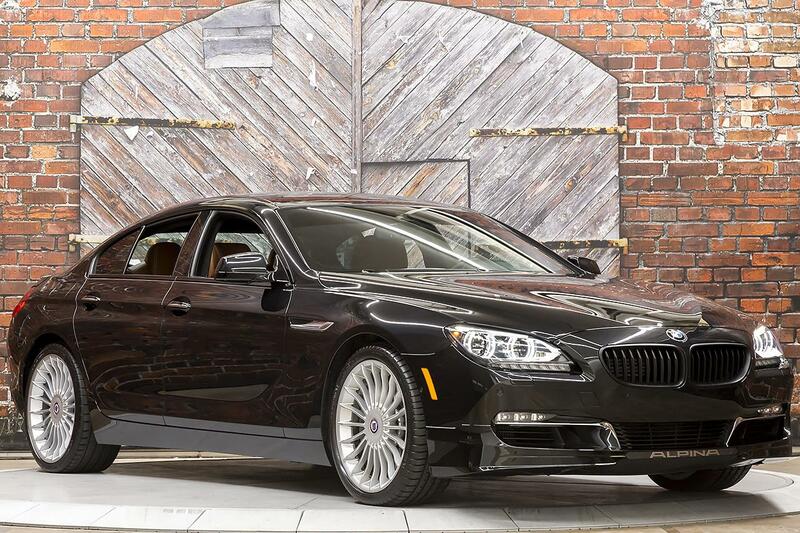 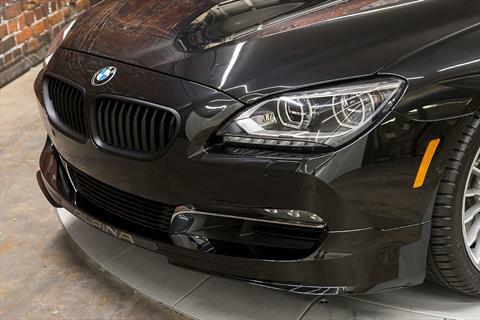 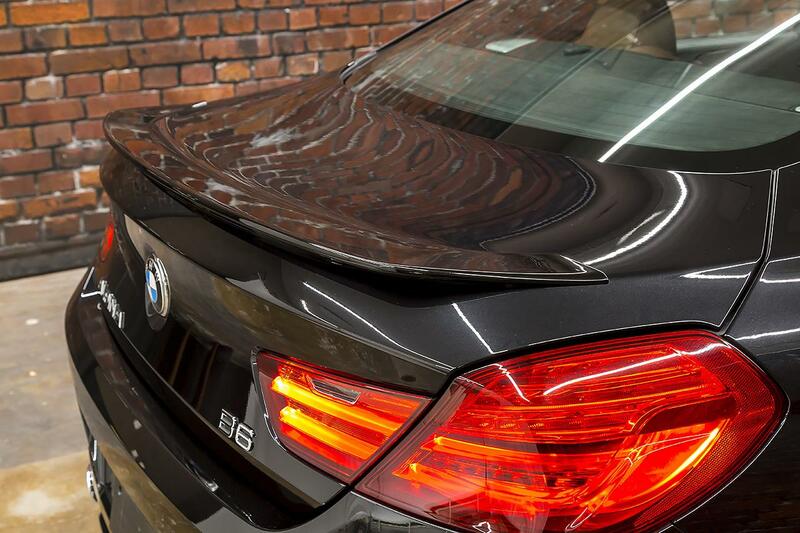 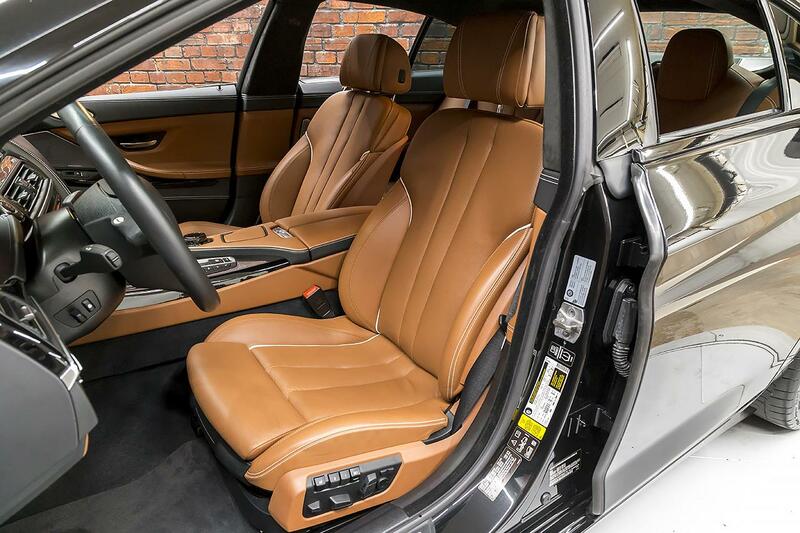 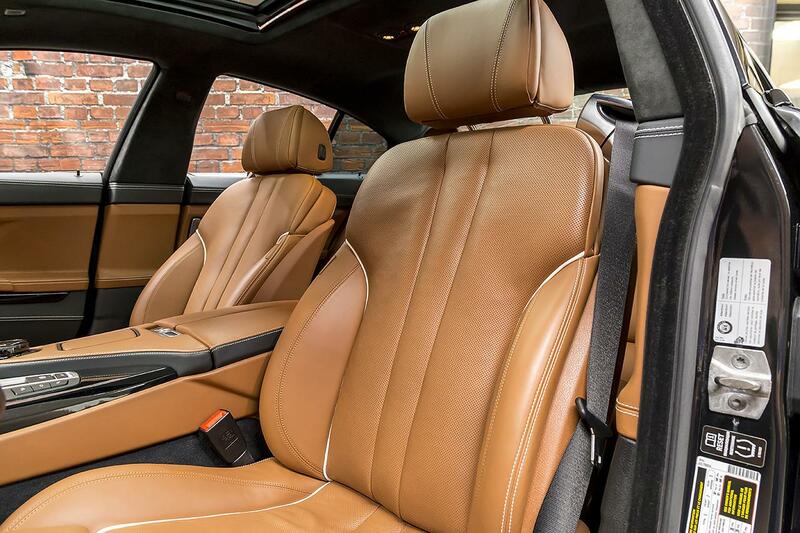 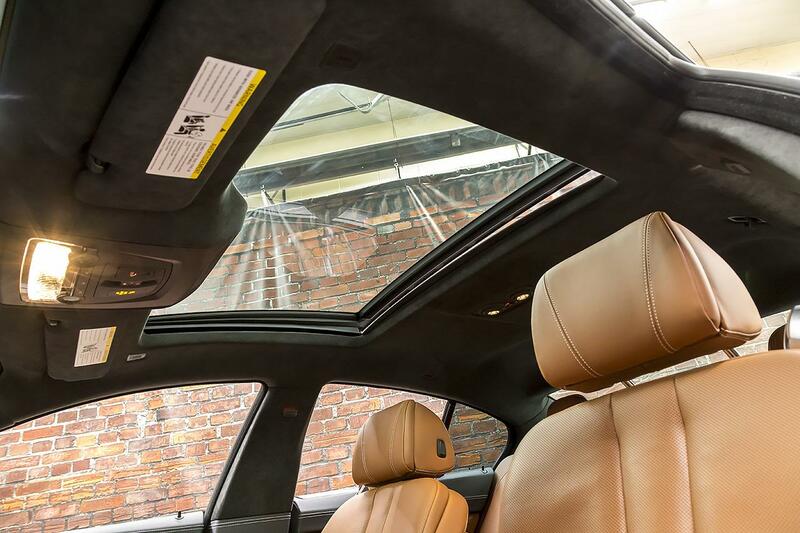 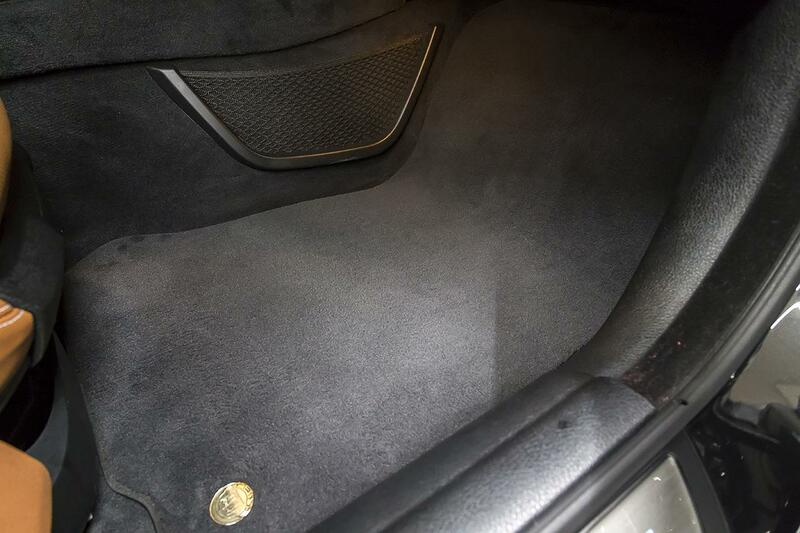 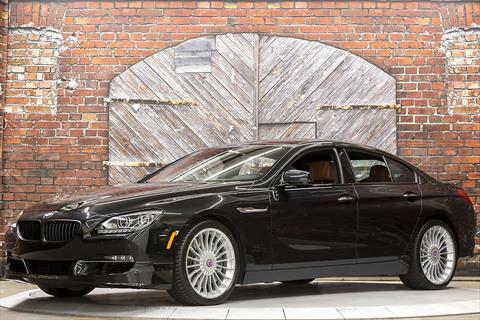 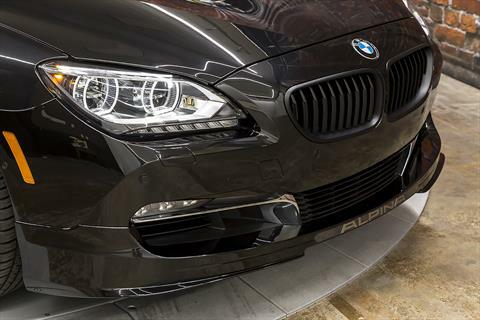 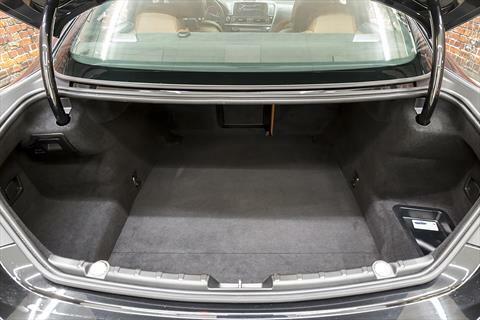 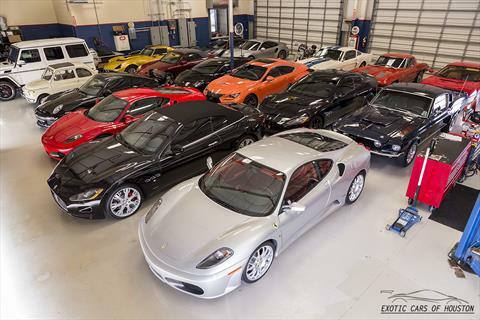 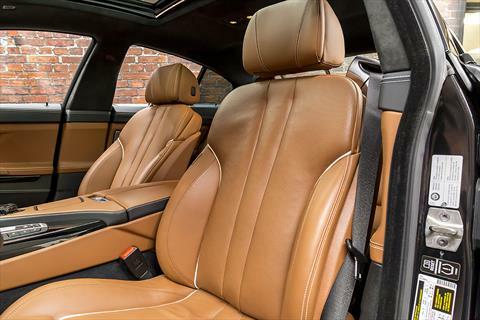 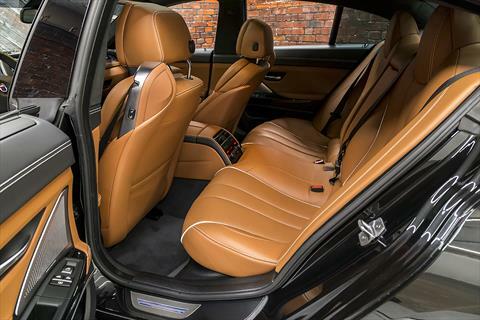 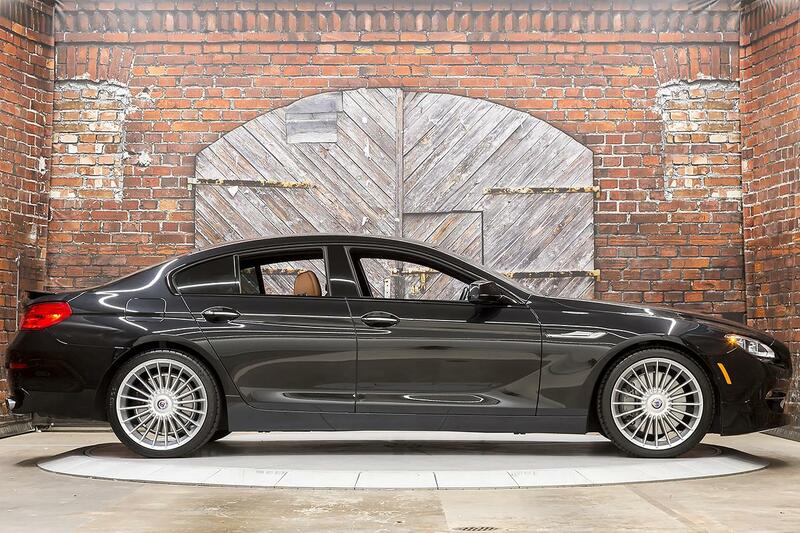 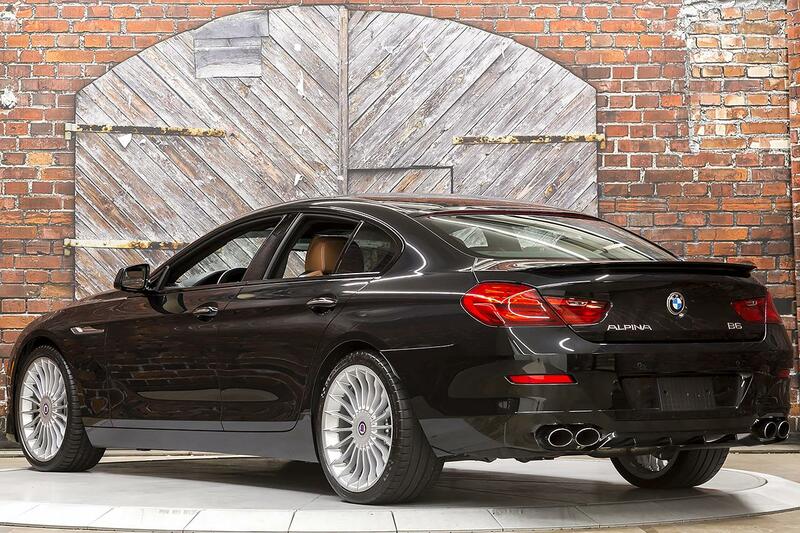 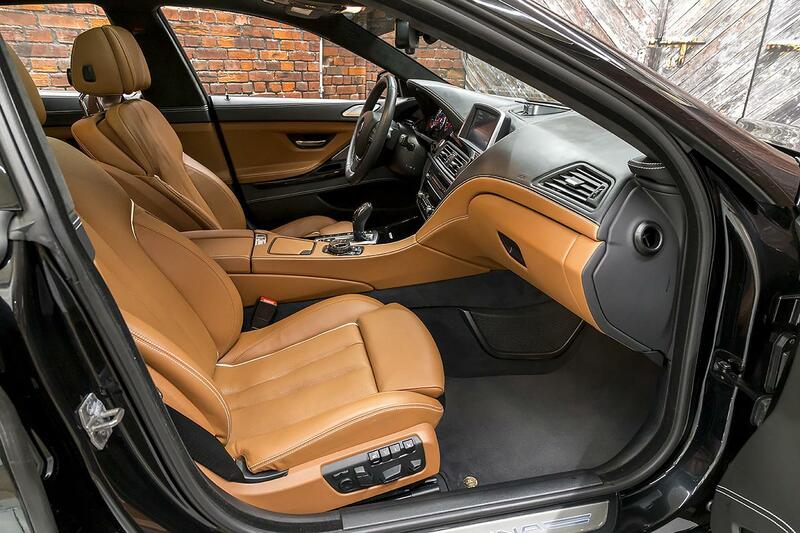 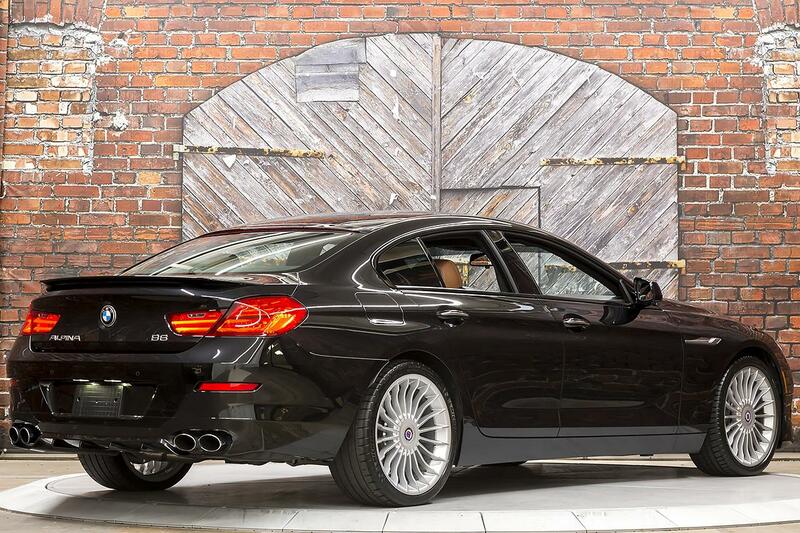 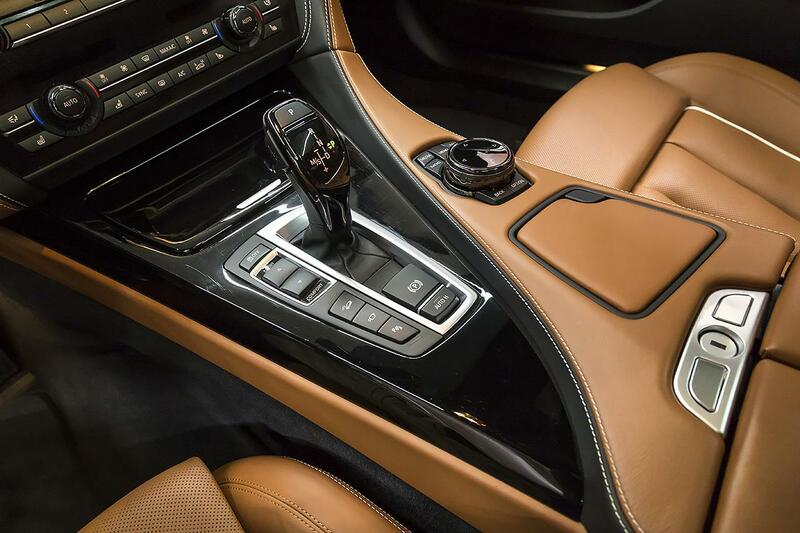 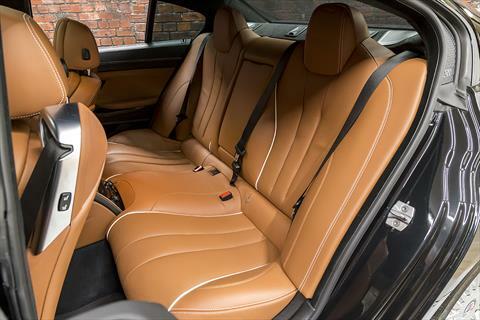 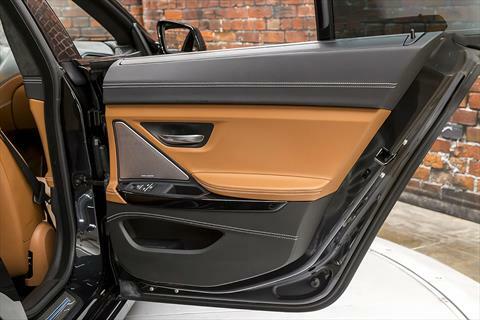 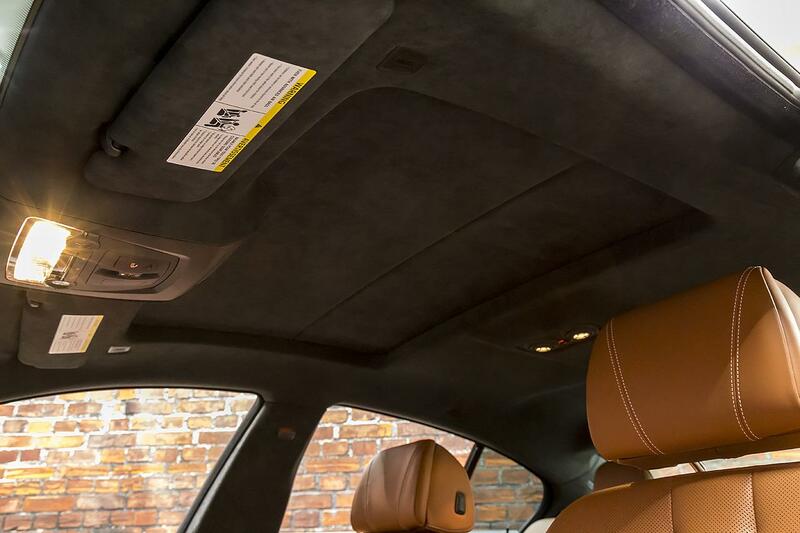 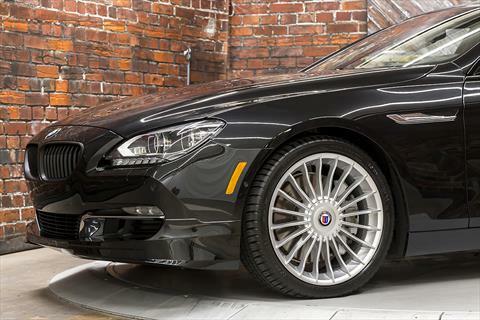 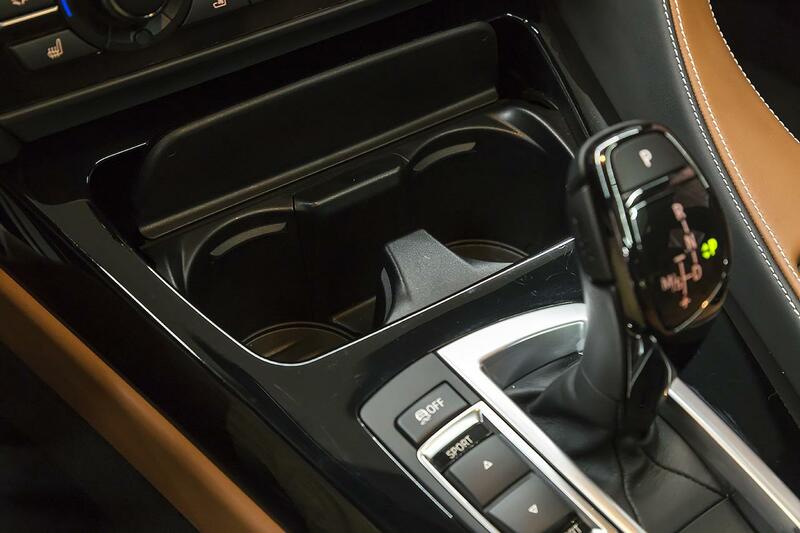 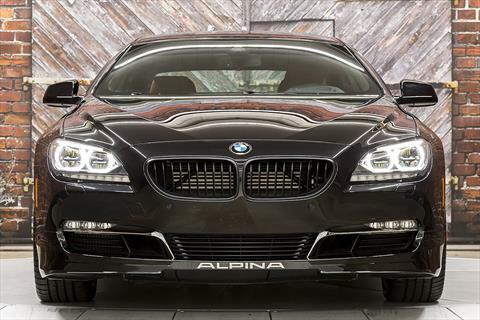 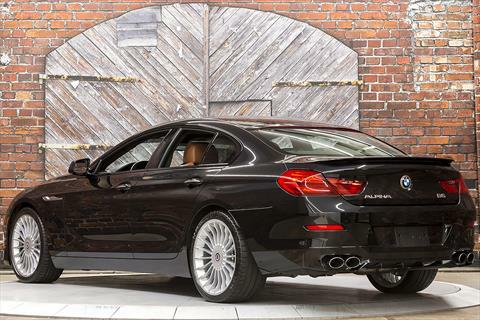 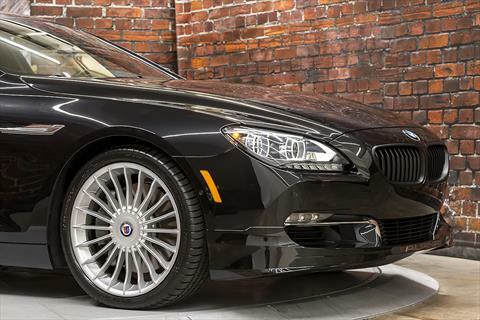 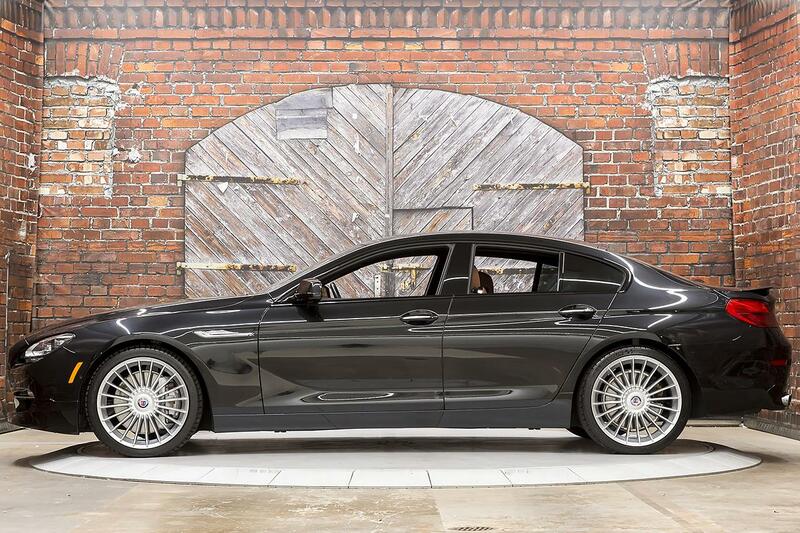 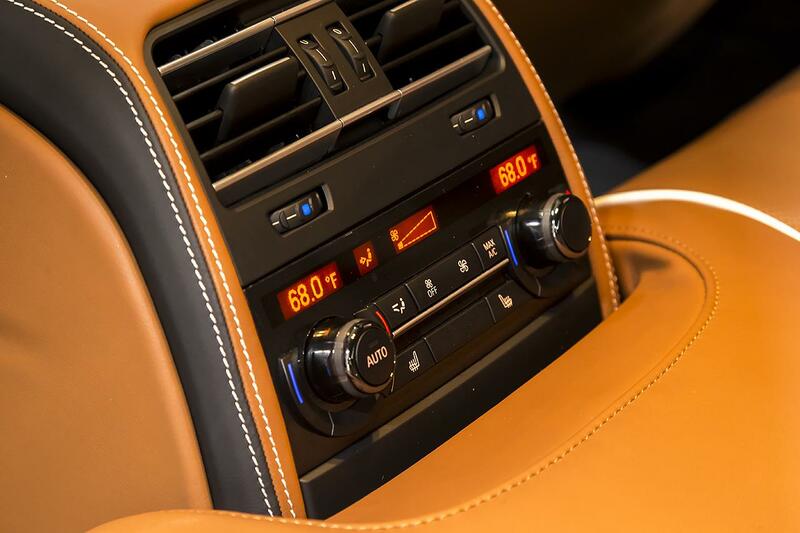 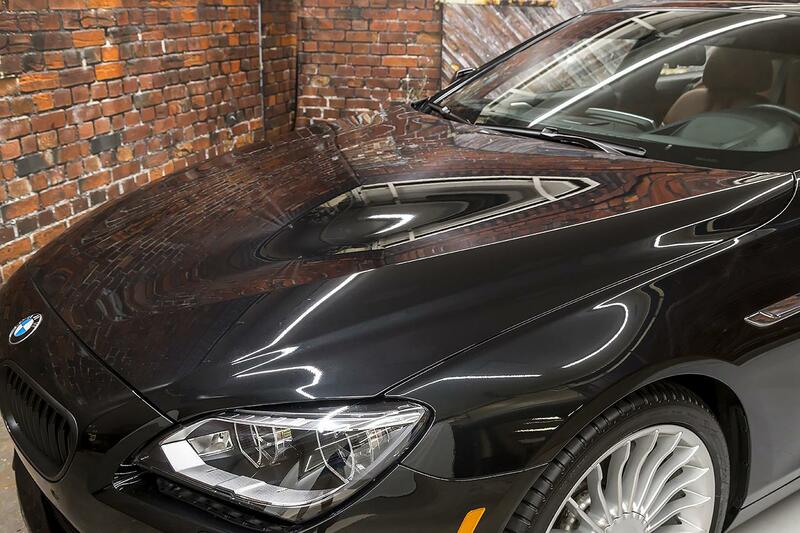 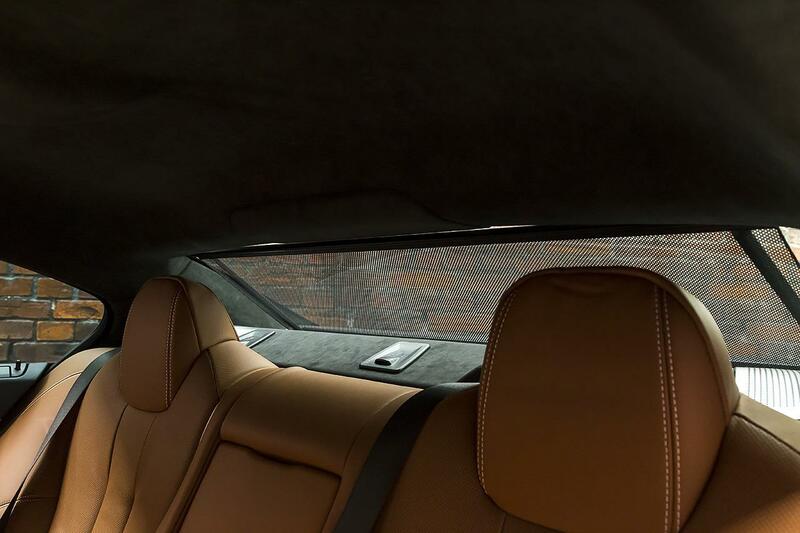 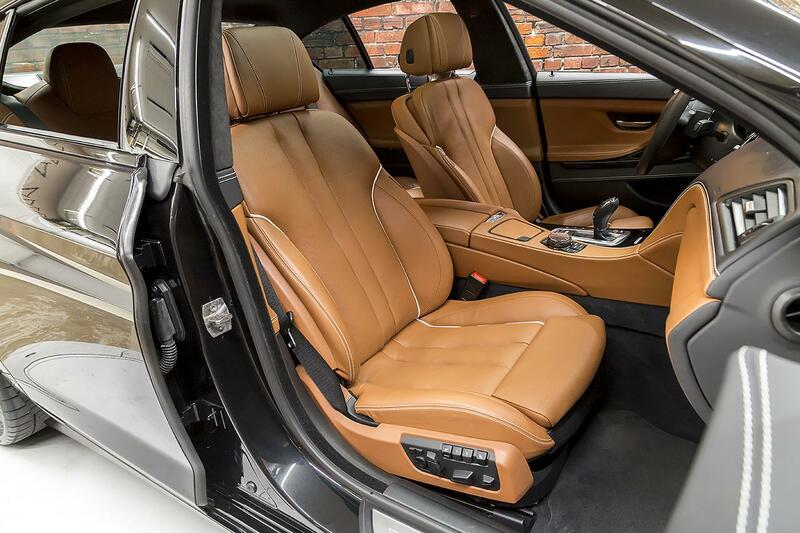 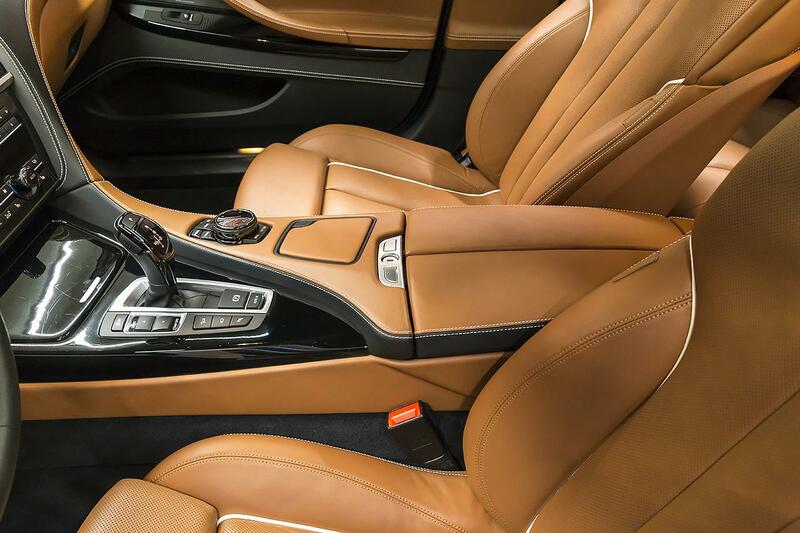 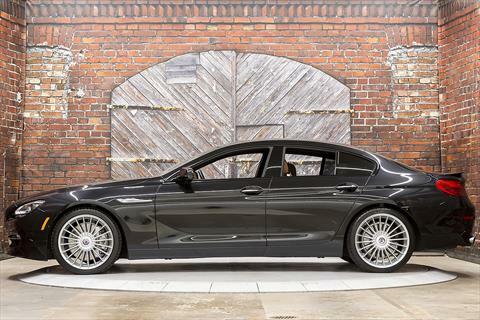 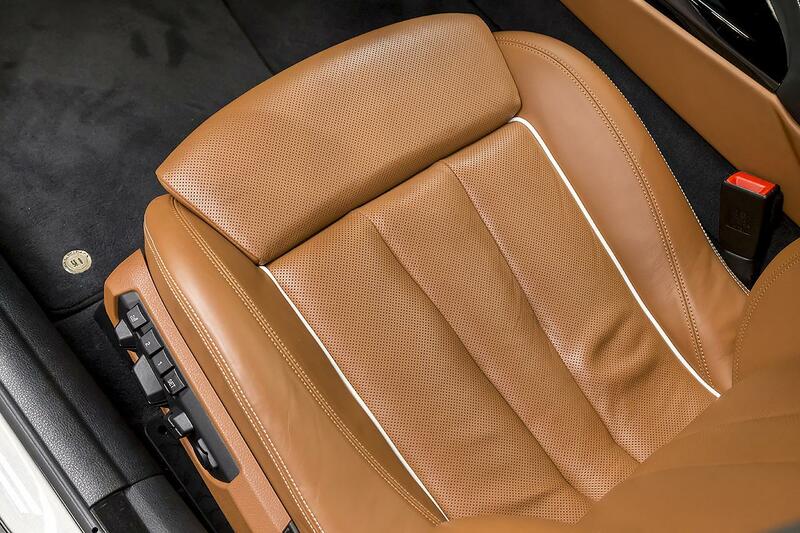 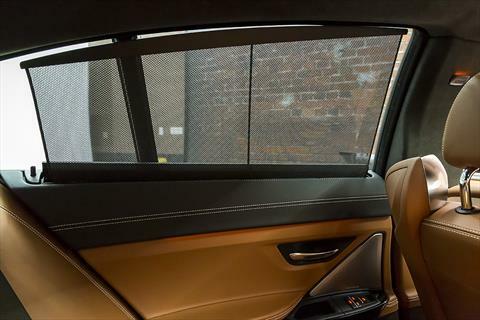 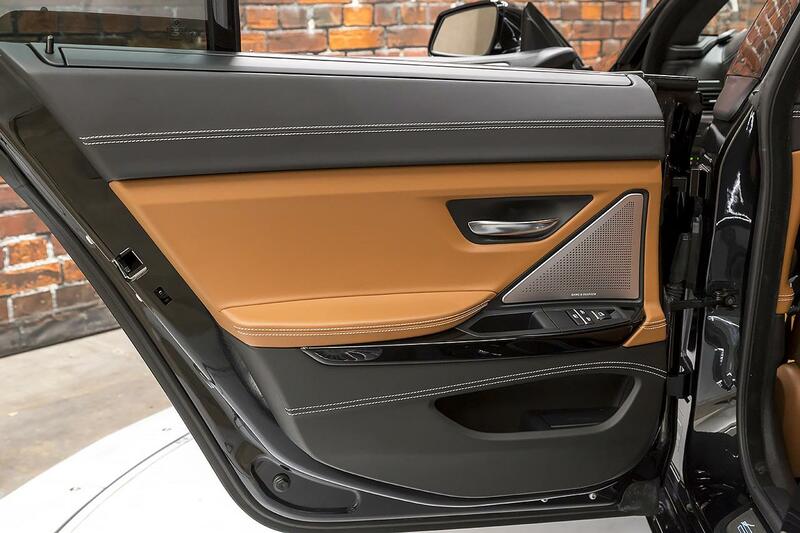 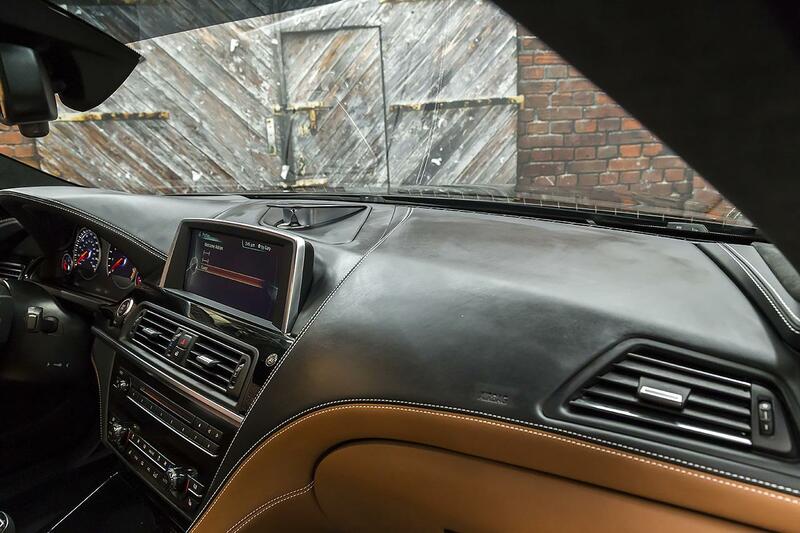 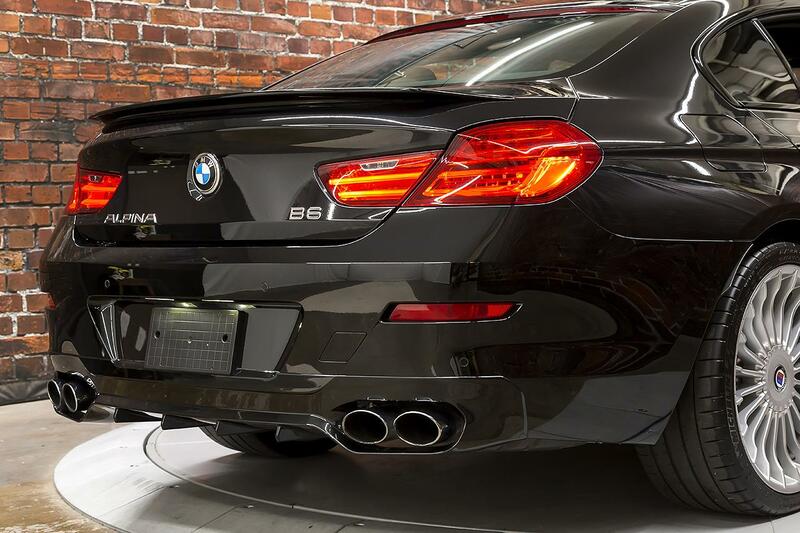 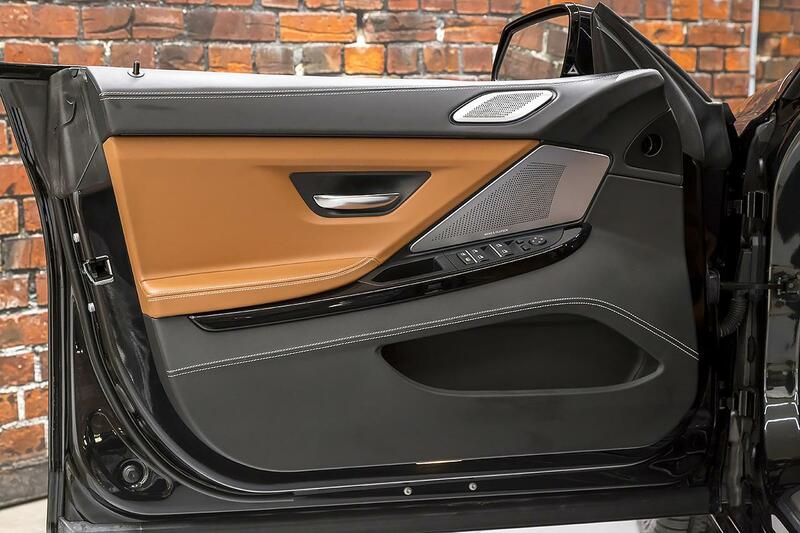 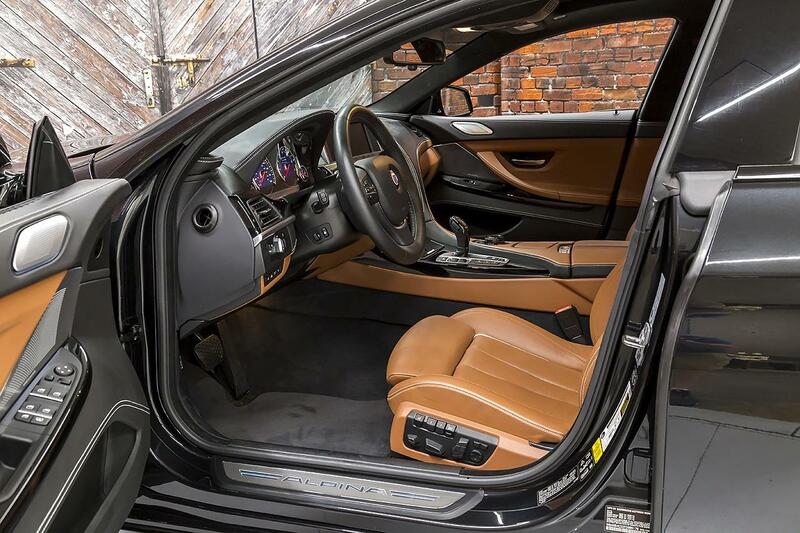 We proudly offer our rare, low-mile 2015 BMW Alpina B6 Gran Coupe in Black Sapphire Metallic over an Amaro Brown Full Merino Leather interior with just 9,960 miles. 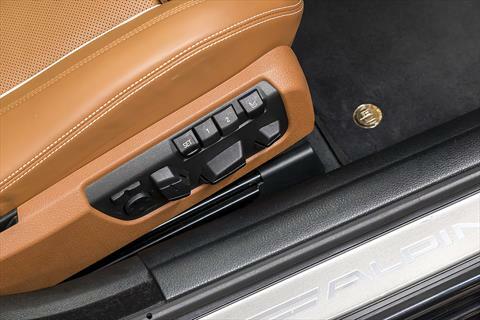 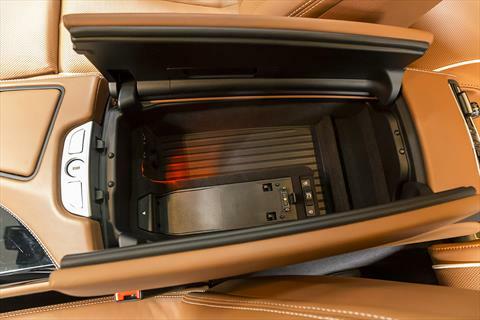 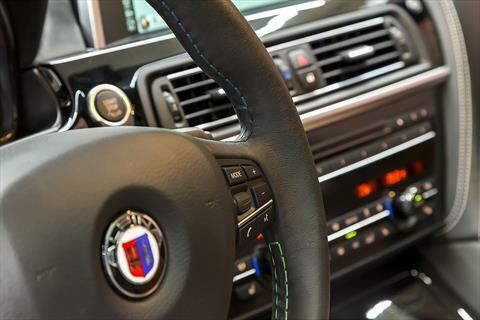 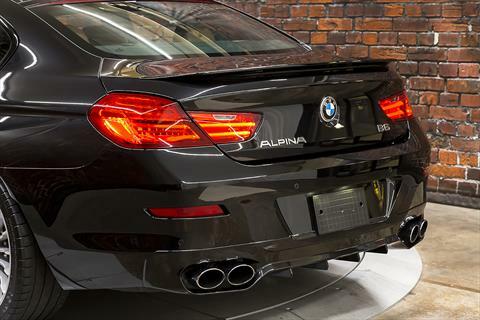 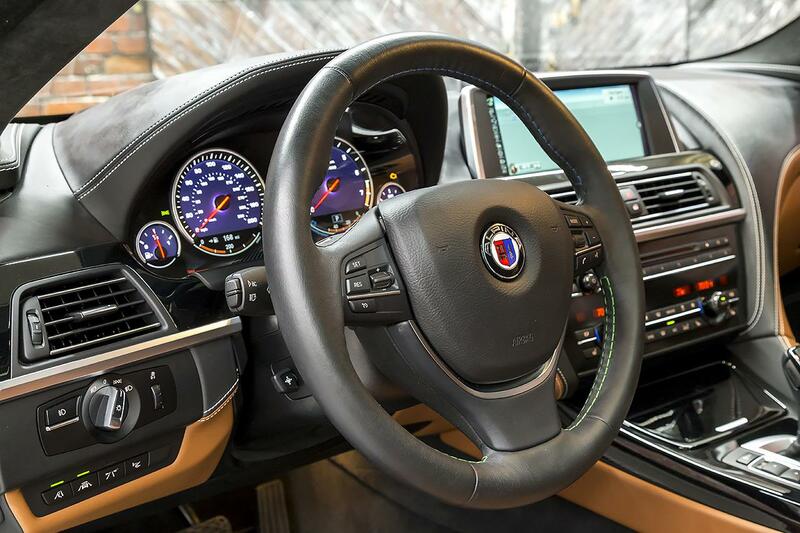 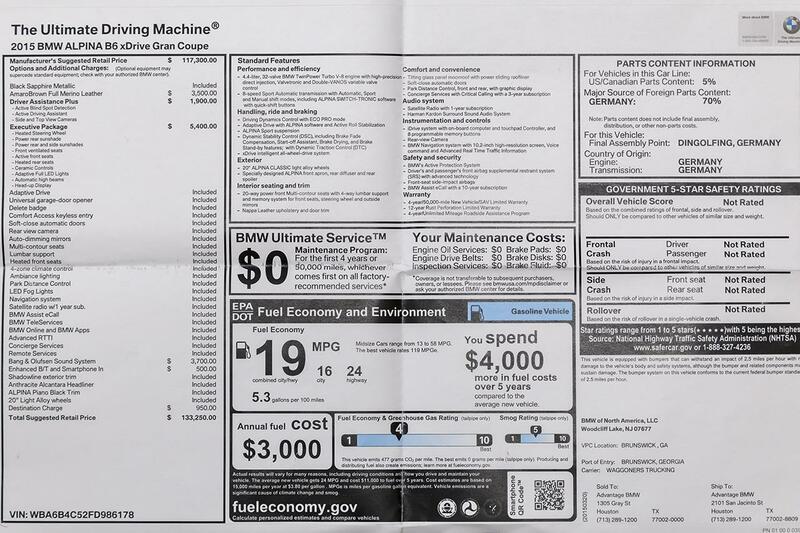 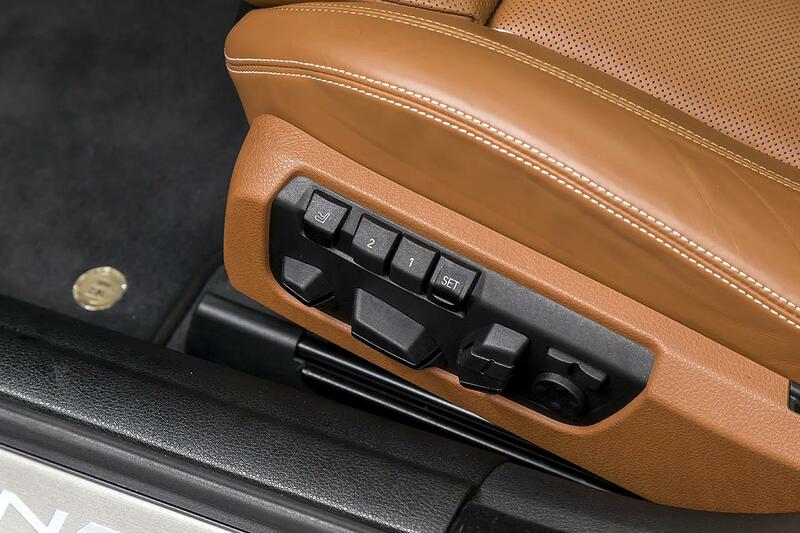 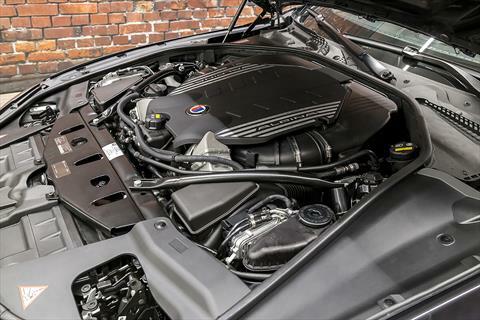 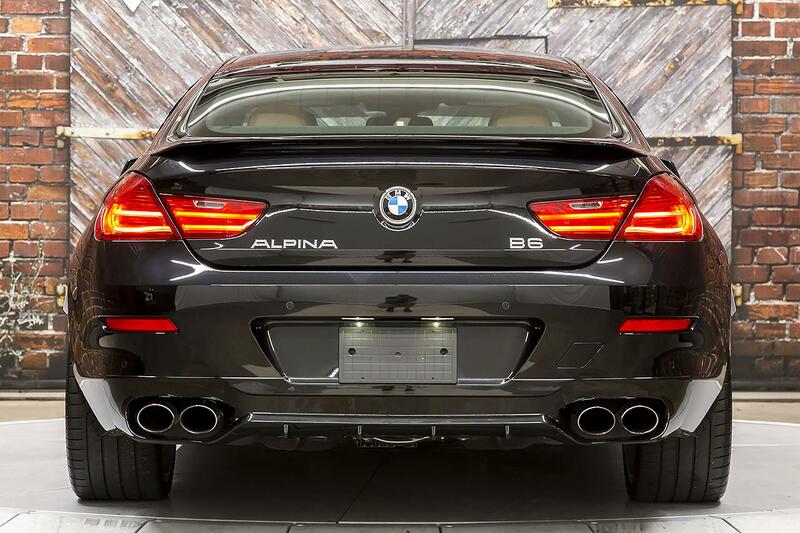 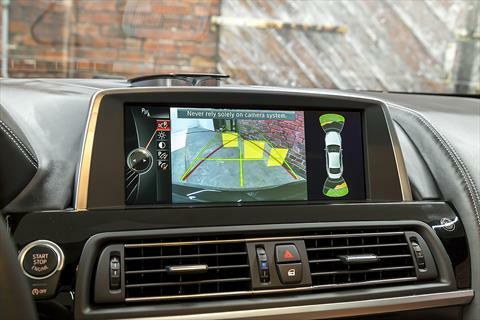 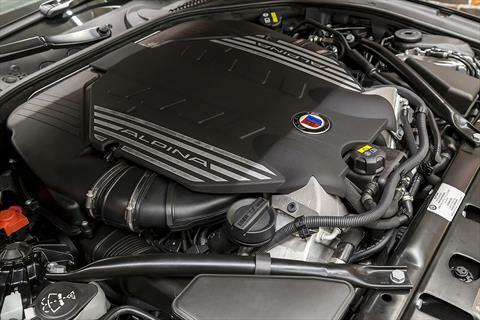 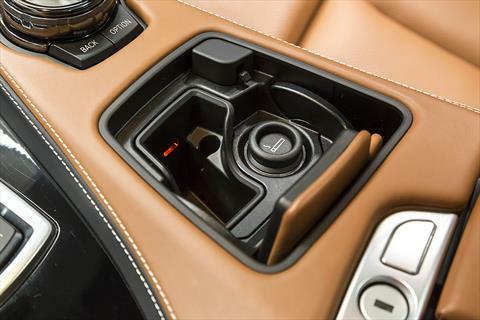 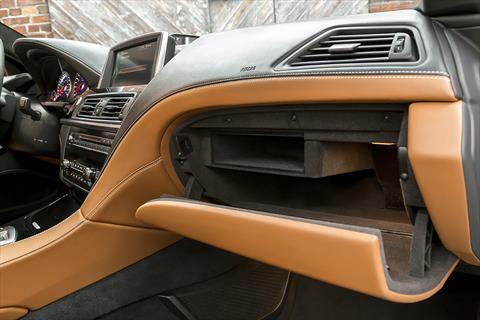 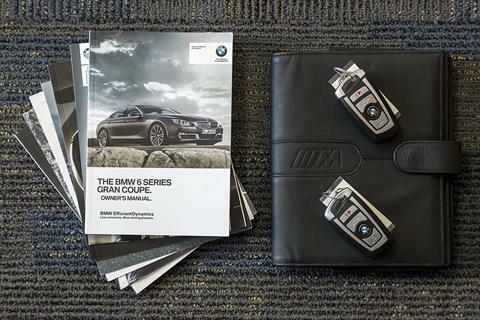 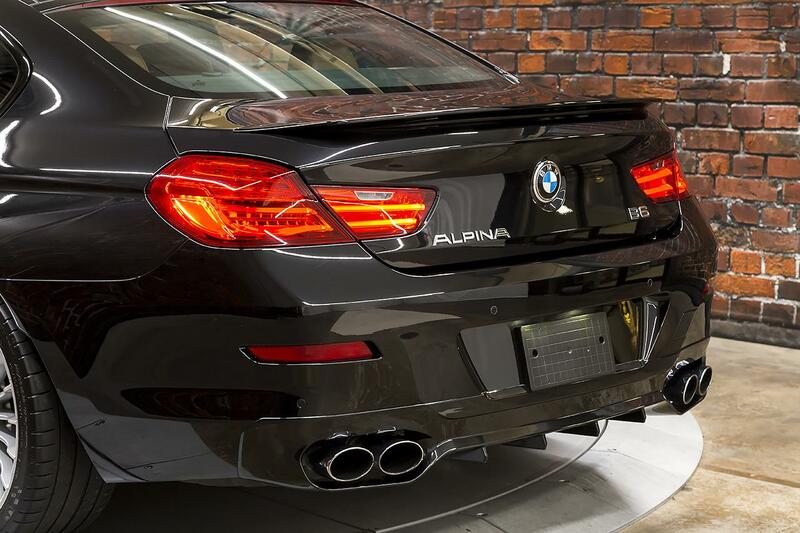 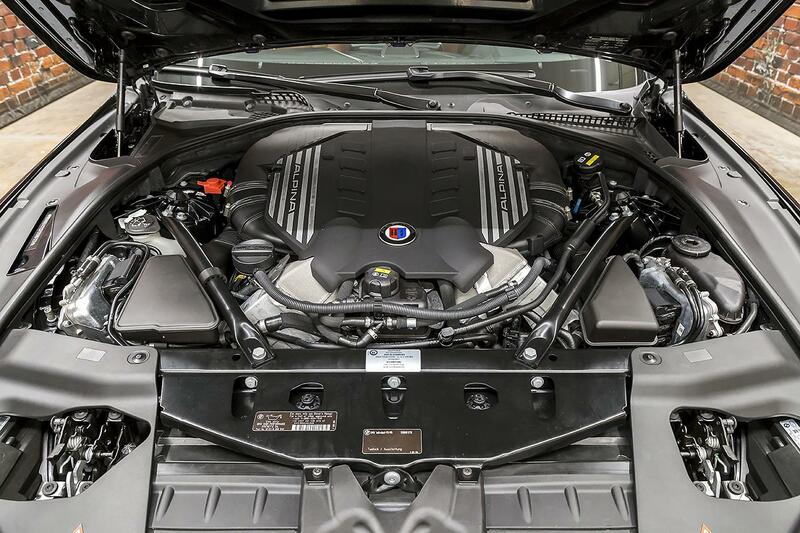 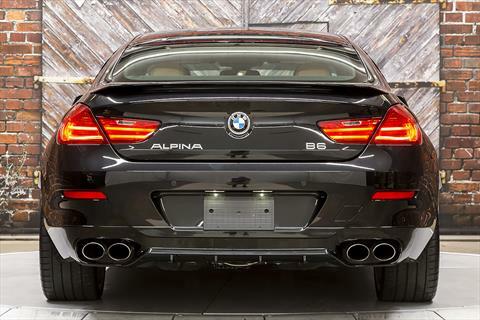 The 2015 BMW Alpina B6 is powered by a 4.4L Twin Turbo V8 engine producing 540 hp and 540 lb-ft of torque (Alpina uses larger Garrett turbos, air-to-water intercooler system of their own design, and freer flowing exhaust) through an 8-speed automatic transmission (with Alpina Switch-Tronic Tuning) and xDrive All-Wheel-Drive (programmed by Alpina to provide slightly more rear torque bias). 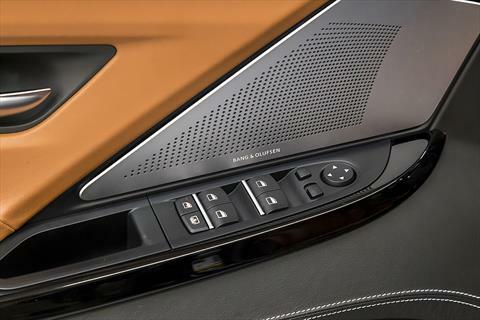 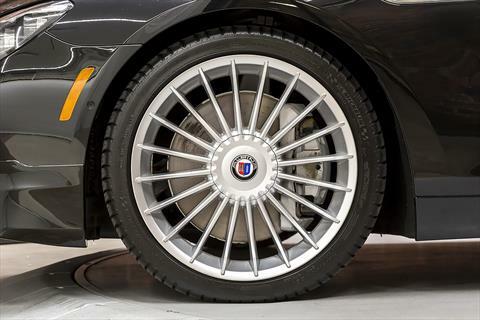 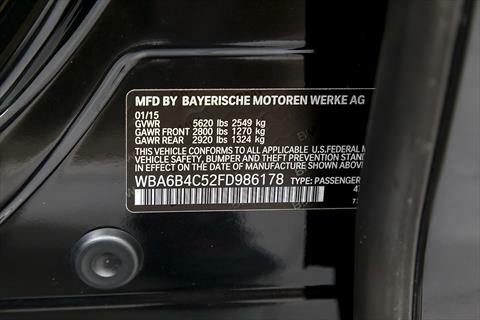 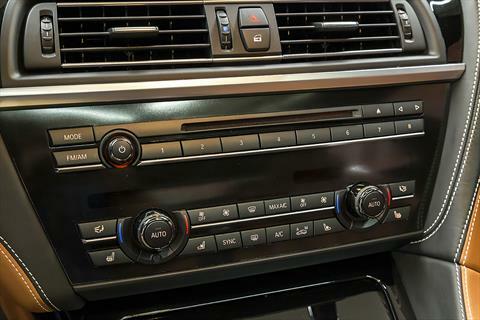 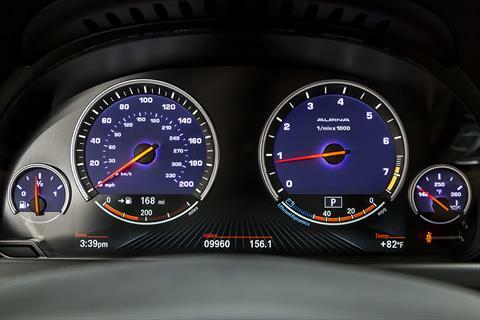 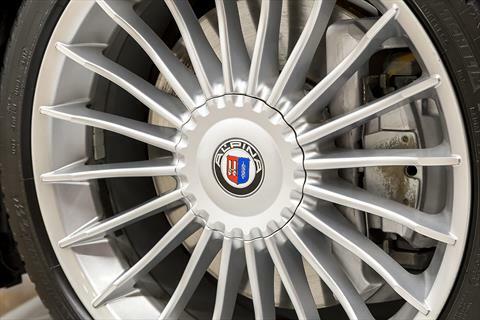 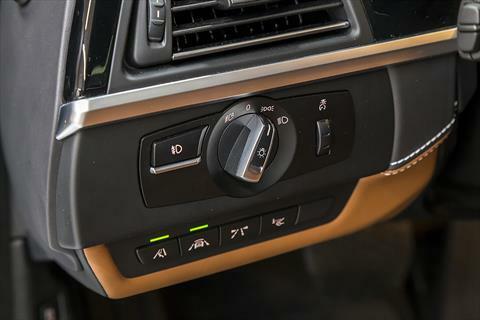 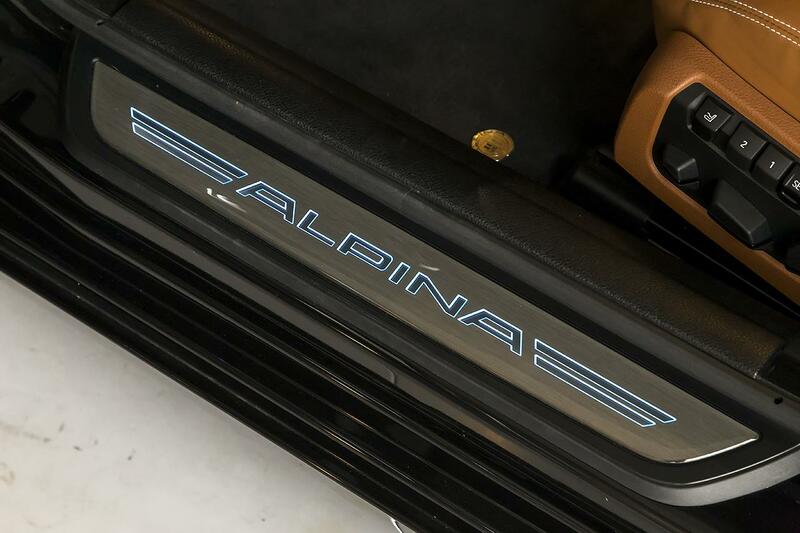 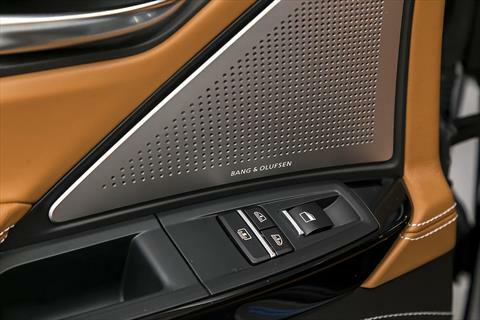 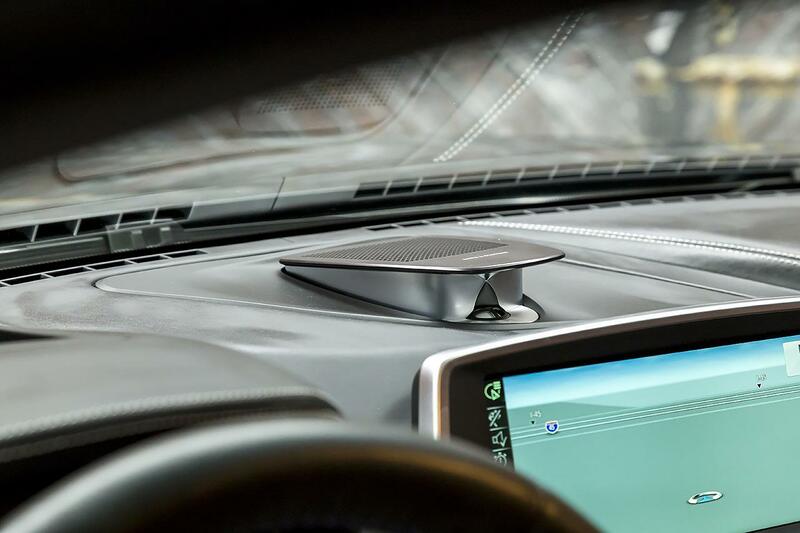 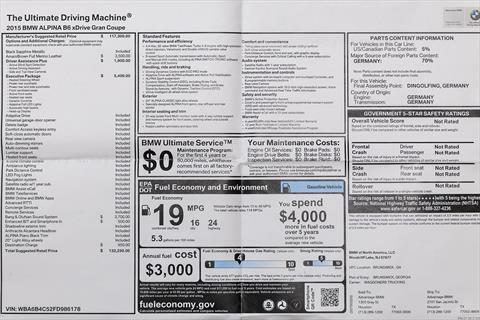 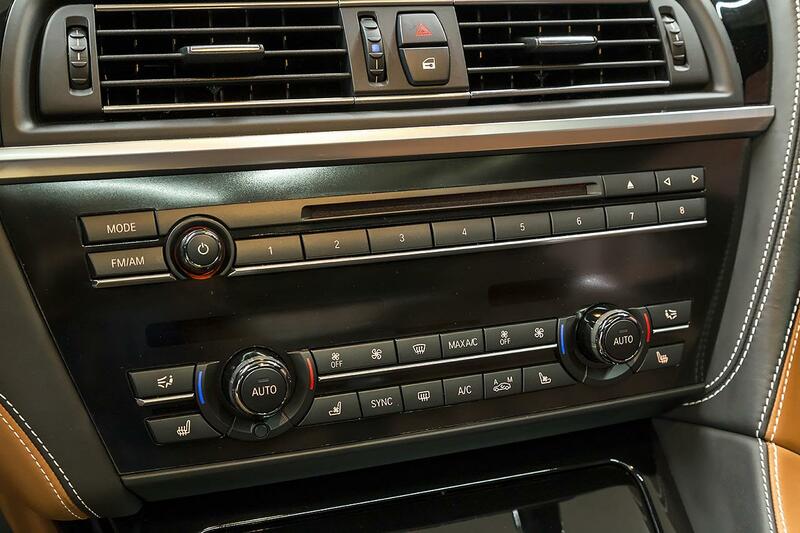 The Alpina B6 Gran Coupe features a host of improvements over the standard BMW including the specific exterior aero touches designed to maintain zero lift up to 198 mph, 20-inch Alpina wheels with hidden valve stem, specific alignment geometry, larger brakes borrowed from the 760i, blue-faced gauges, Alpina floor mats, piano black woodgrain, Alpina sill plates, Switch-Tronic steering wheel stitched with blue and green thread.